Carbon Nanotubes, also known as CNTs, can be commonly found in household electrical appliances, bicycle equipment, and even tennis rackets! The material is prized for its conductivity - which is ten times that of copper- and its tensile strength - 100 times that of steel - so it’s not surprising that many have dubbed Carbon Nanotubes a ‘Wonder Material’. If your house was built between 1920 through to 1990 there’s a good chance it contains asbestos. While some houses, like the humble fibro shack, wear their asbestos loud and proud, other homes have been renovated to conceal any asbestos. A preliminary site inspection can help to determine if and where any asbestos is located. Regardless of where the asbestos is located in your house, it is important that it is disposed of correctly. 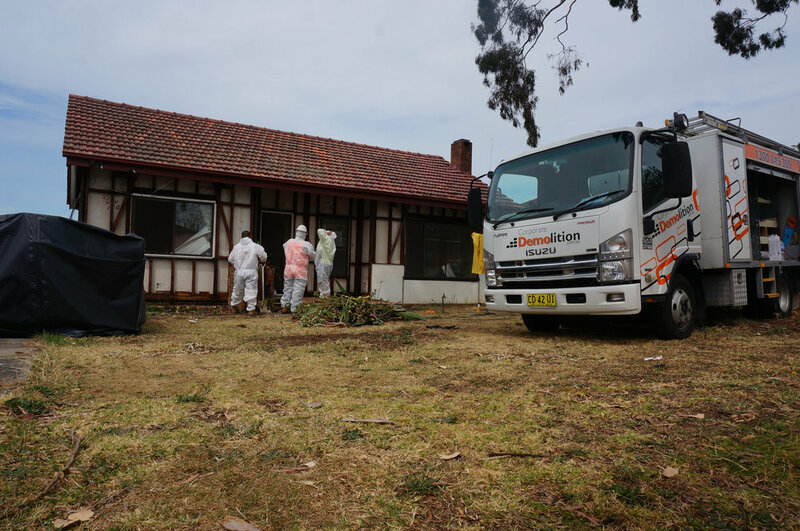 Unfortunately, this process is fairly time consuming as each element containing asbestos must be carefully removed, wrapped and then gently placed in a skip for proper disposal. Although tedious, there is no other way to safely remove unwanted asbestos (is there any other kind?). For this reason asbestos costs roughly three times the amount to remove as other building materials. The removed asbestos is then taken to a specialised site and disposed of. It costs roughly 30 cents to dispose of one kilo of asbestos (about $330 a tonne). Fibro boards like these contain asbestos and are usually hidden between wood and plaster. 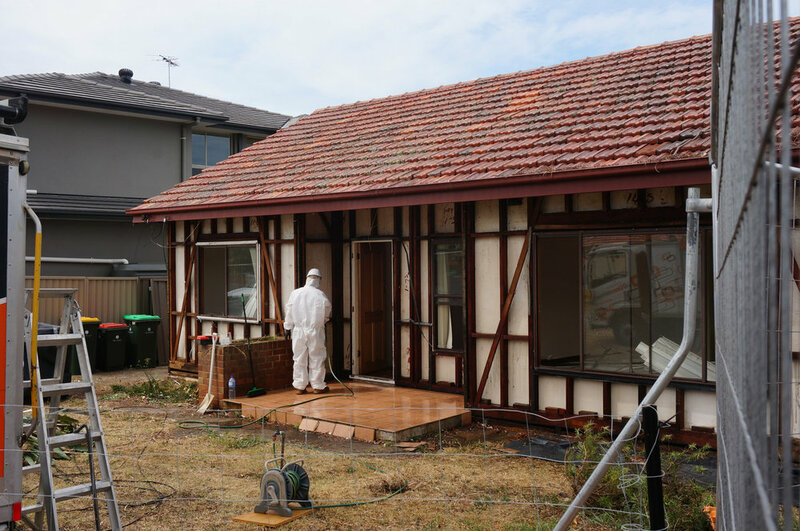 I get it, asbestos is expensive and time consuming to remove, but how much will it actually cost to demolish an asbestos clad home? 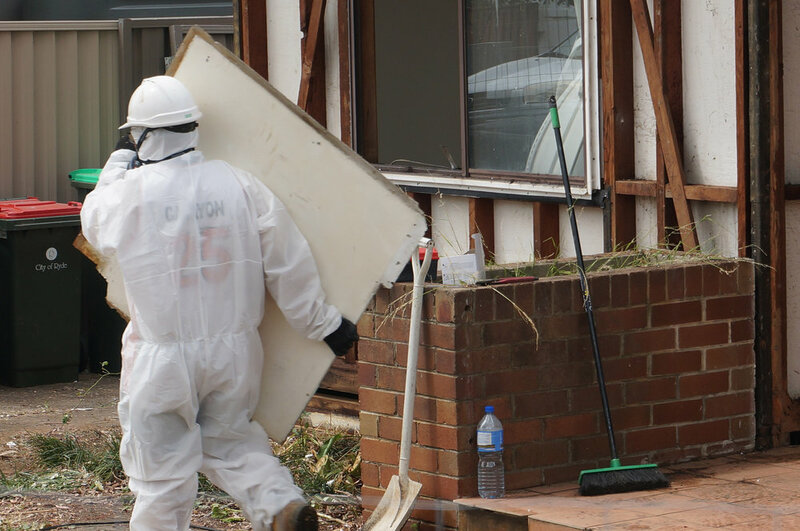 Unfortunately, there is no straight forward figure as the presence of asbestos is just one of the many factors that can impact the price of a home demolition. Generally speaking, demolishing a one story family home containing asbestos will cost somewhere between $15,000 to $22,000; however, this number will vary greatly depending on other factors such as the material the house is made out of and the amount of asbestos present. The easiest way to get an accurate picture of how much you need to spend to knock down a house containing asbestos is to fill out our simple quote request tool. This takes just a couple of minutes and will allow our friendly staff to provide you with an accurate and obligation free quote. Old sheds like this often have roofs made out of 'Super Six', a product that contains asbestos. 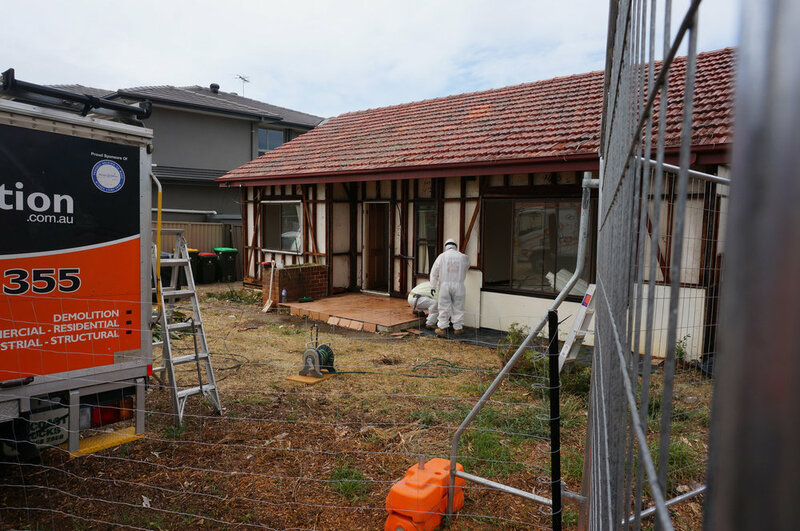 All quotes include the cost of an asbestos certificate, which is required by council and builders in order for new construction to commence on the site of your demolished home. Asbestos Cladded Fibro Homes: The demolition process. 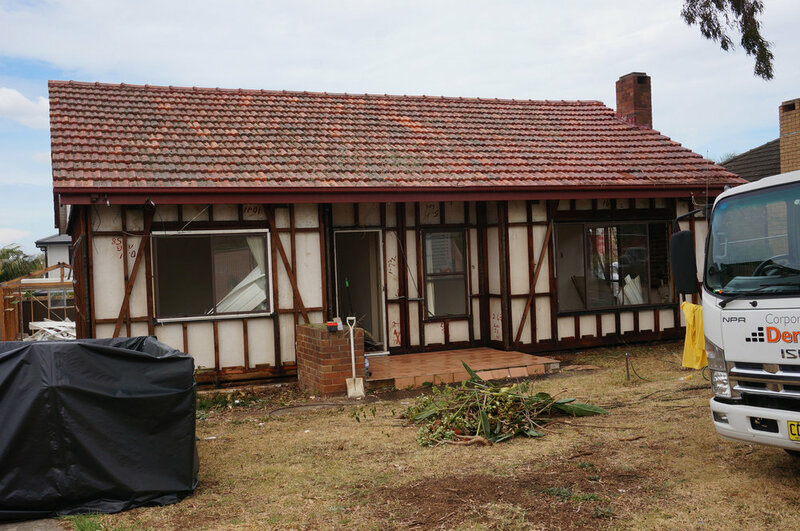 Depending on the particular style of your home, whether it be double brick, vener, timber or a fibro shack - certain preliminary site works will need to be undertaken to ensure efficiency and safety throughout the duration of the demolition process. At the top of this to do list comes the removal of any asbestos containing elements or fittings of the house, commonly Australian homes built from 1940 through to 1990 will contain asbestos products within area most susceptible to prolonged exposure to moisture or heat "think of wet area splash backs and fireplaces or stove surrounds" whilst some homes have been renovated to conceal, contain or even hide these fibre board products, some simply display their past loud and proud, as is found in the essential Australian classic, fibro shack. So, if any material that contains asbestos need to be removed prior to demolition, and the entire house is made out of fibro asbestos board, where does this leave you at the end of the day. Well, as seen from the images above and below, the answer is, not much! Although painfully time consuming, there are no known alternatives to the process of carefully removing each panel individually, wrapping in a protective film and delicately placing each section in a skip for transport to a treatment facility. Whilst taking a little longer in prep work, the removal of remaining materials such as the timber frame and concrete slabs is generally pretty quick given that very little is in the way to stop the brute force of a 25 tonne excavator. The dawning of the Atomic Age following World War Two saw most of the western world enjoying a level of prosperity and care free lifestyles like no other . In fact, 1950s Australia was great; Petrol was cheap, Hawaiian shirts were in fashion and asbestos was rampant. Asbestos, as with most miracle products of bygone years (radium salts, lead paint, cigarettes) was hailed for its seemingly revolutionary approach to building and construction, offering lighter weights, greater structural integrity and having superior insulating and fire retarding properties. 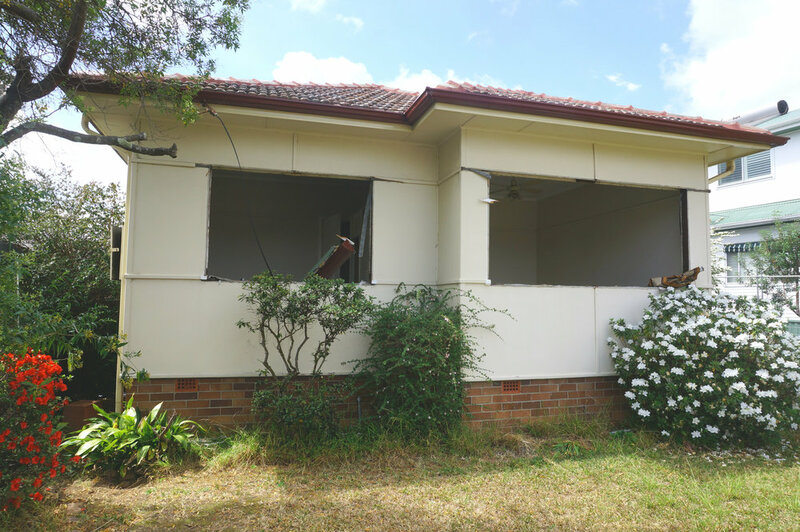 Soon, almost every house, school, hospital and business was being constructed out of the versatile asbestos cement board championed by multinationals like James Hardie and CSR. With little surprise, asbestos managed to make its way into some of Sydney's most recognisable buildings and infrastructure. Previously, the Opera House was found to contain loose fill Asbestos based insulation (among many other things) and now it's The Sydney Harbour Bridge's turn to show us what it's made of. These findings are only further evidence of this potentially deadly substances prevalence in Australia, if 300,000 people can cross The Sydney Harbour Bridge each day and be completely oblivious to the structures materials and their potential health risks, just imagine what is lurking in the ordinary Australian home.